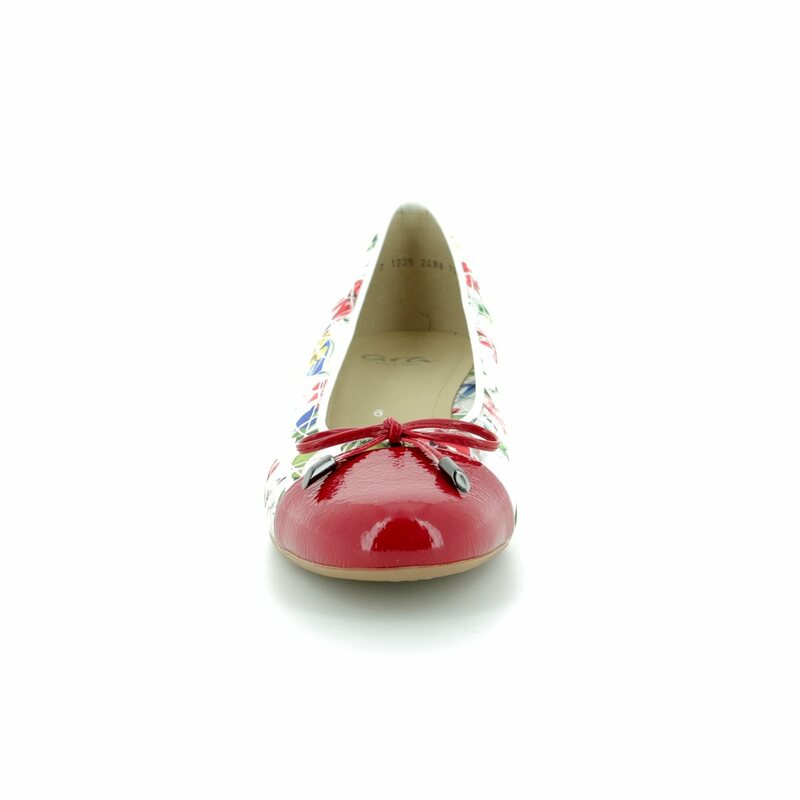 Ara bring us 1223760/09 BARI BIRD, the perfect summer shoe. 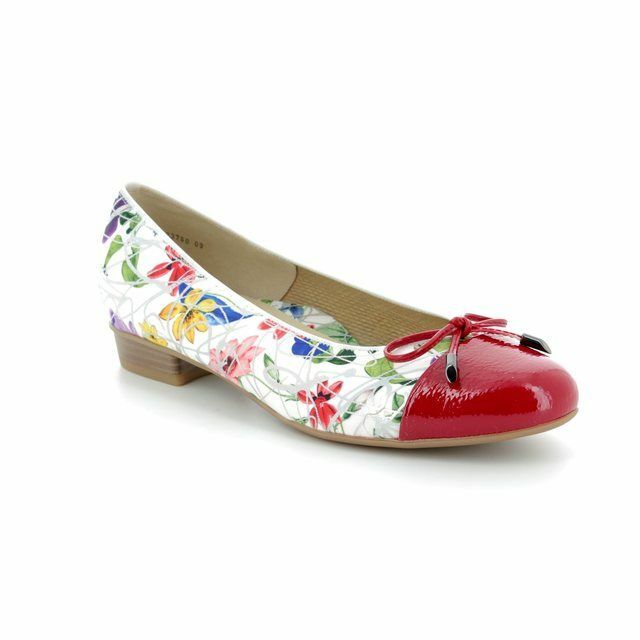 The fabric upper of these ladies pumps is detailed with an exotic brand print while a plain toe cap and delicate bow detailing. 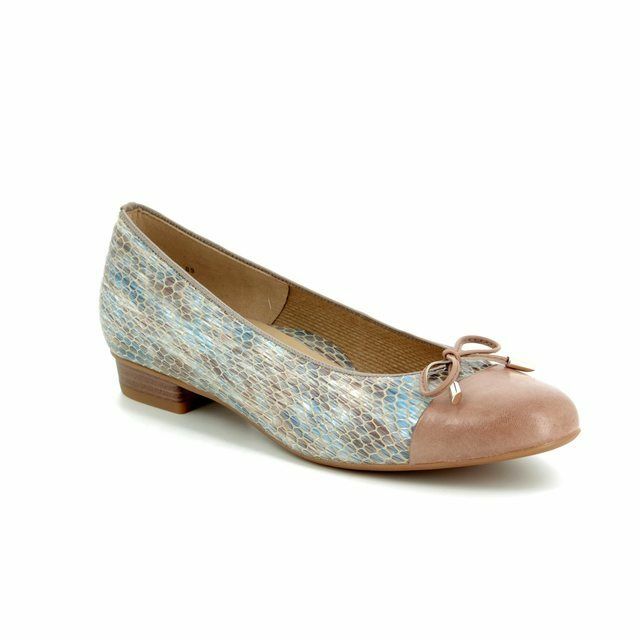 Ara have created these on the Bari last, with a low front for an elegant cut which helps to elongate the appearance of the legs. 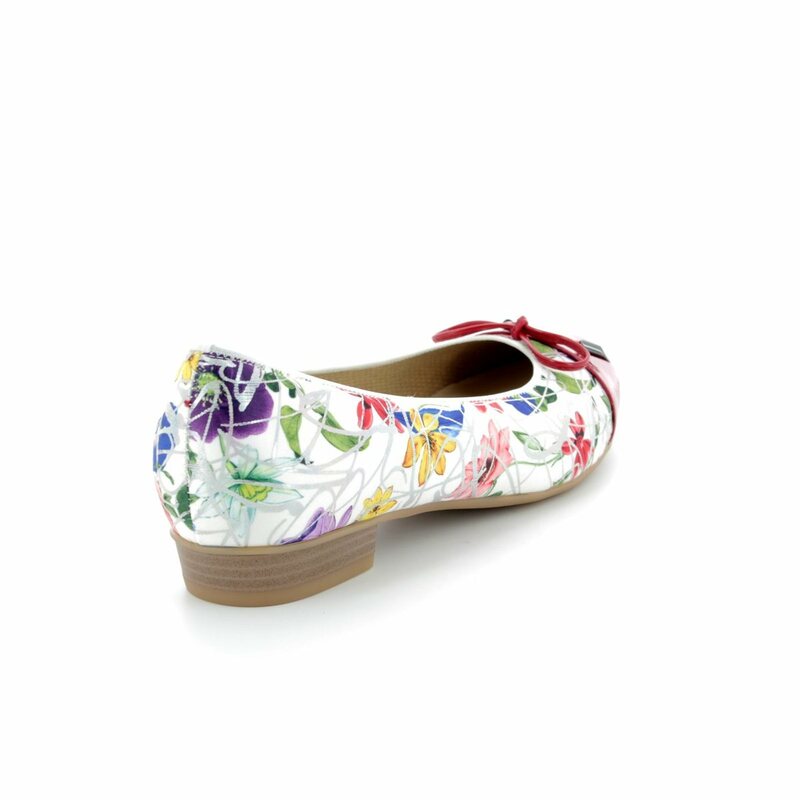 These pumps are secured with an elasticated topline while a gel padded, memory insole allows these shoes to offer the ultimate in comfort. 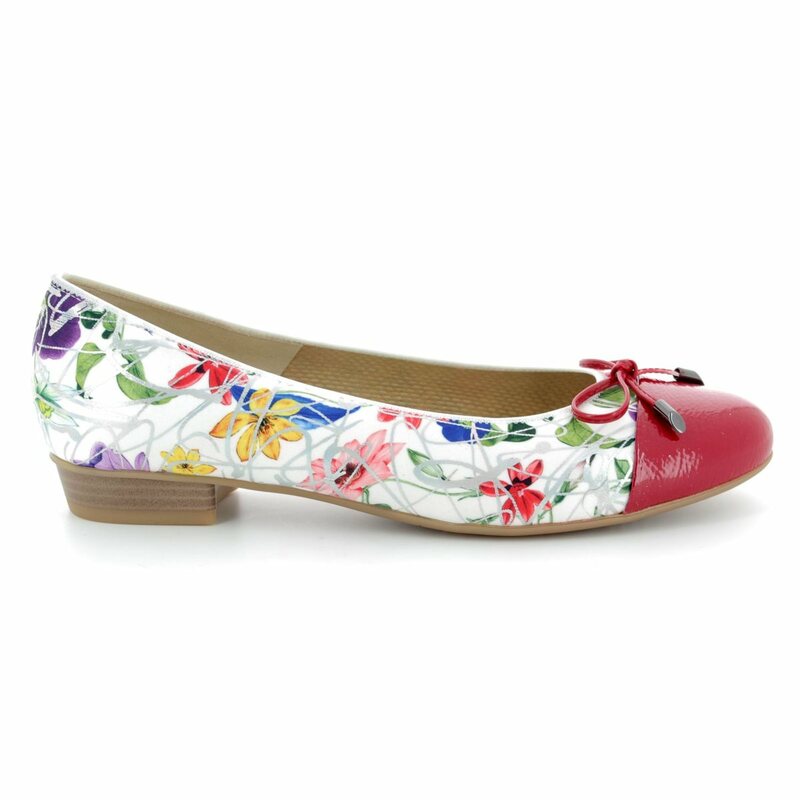 A slight heel offers elevation while adding to the comfort of these pumps. 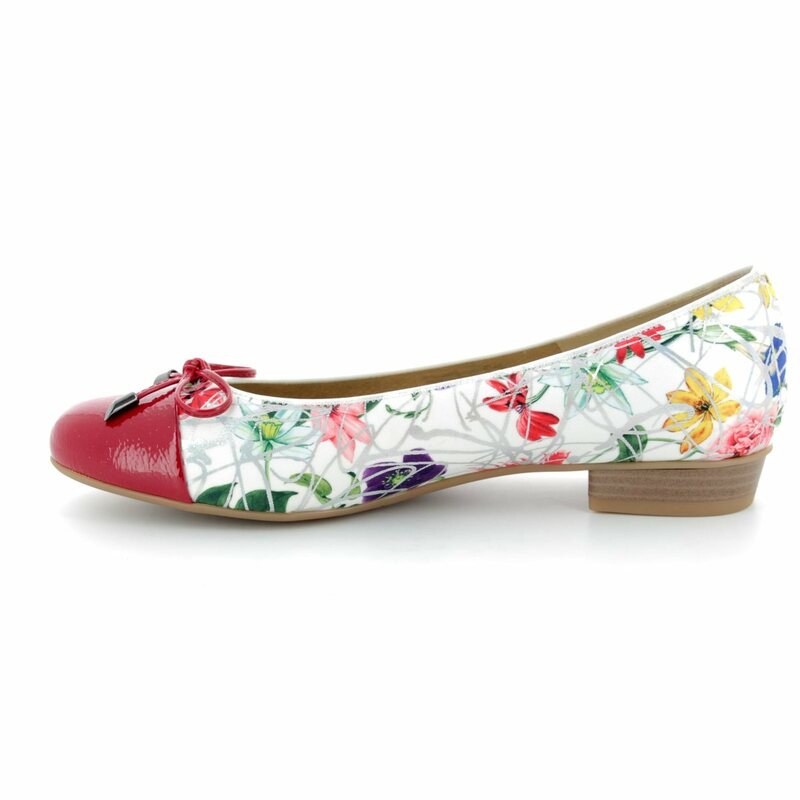 Style these ladies pumps with a dress or cropped trousers for an easy, sophisticated look. 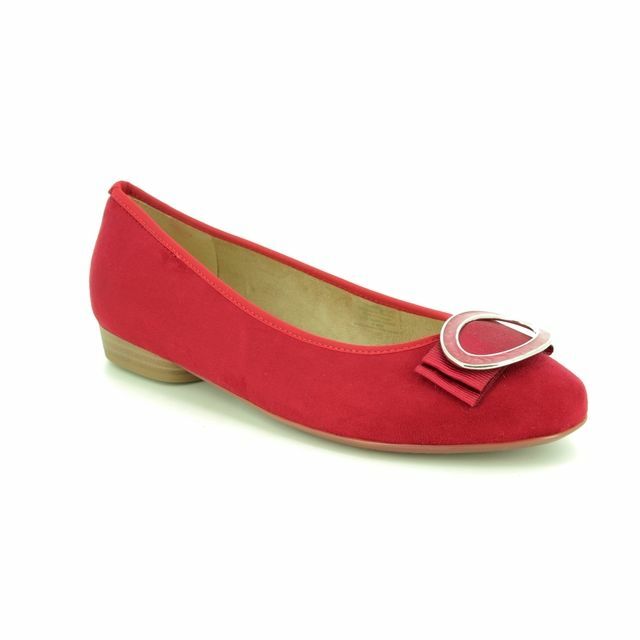 Buy your Ara ladies pumps from Begg Shoes, an official Ara stockist.